Barbecue restaurants are everywhere in the South, and each region has its own take on this exquisite cuisine. With so many eateries specializing in seasoning their meats with creative dry rubs or making sweet and tangy dipping sauces, it’s hard for a restaurant to stand out. However, head barbecue Pitmaster, Bryan Furman, has done just that by starting the award-winning B’s Cracklin’ Barbecue in Atlanta, GA.
Bryan didn’t necessarily expect to leave his welding day job to pursue cooking. It began as a fun way to celebrate his daughter’s first birthday back in 2010. He fed his party guests by roasting a whole hog, but people kept wanting more. Soon, he was catering, and eventually, taking barbecue requests from his co-workers. It wasn’t until one night in his family’s home in North Carolina that he brought up the idea of owning a restaurant to his father. Though his father liked the idea of Bryan opening up a barbecue restaurant, he wanted to know how he would stand out from everyone else. Bryan’s answer was to raise local Heritage hogs for his signature-style pit smoke barbecue and use a unique blend of locally sourced, fresh ingredients to create delicious side dishes. In 2014, B’s Cracklin’ Barbecue found its first home in a building on Coffee Bluff Villa Road in Savannah. In June of 2015, however, the restaurant tragically burned down. Despite the setback, Bryan and his team had already begun creating a buzz with their succulent barbecue made with fresh local ingredients. 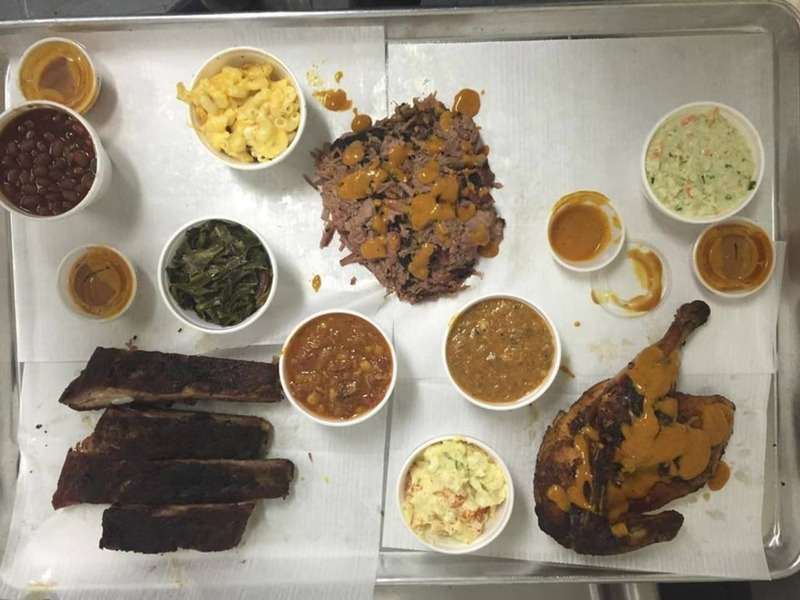 During that time, they were named on a Top 50 list of The South’s Best BBQ by Southern Living magazine. Also, in 2015, the restaurant was featured in the article “Five Barbecue Joints You Can’t Miss” in the June/July issue of Garden & Gun magazine. These days, B’s Cracklin’ Barbecue has restaurants in both Savannah and Atlanta. Bryan and his wife, Nikki, continue to serve fantastic food to tourists and the local community. They also continue to get recognition for their barbecue, down-home atmosphere, and service, including the award for 2017’s Restaurant of the Year for Atlanta’s Eater Awards. B’s Cracklin’ Barbecue is an experience you have to taste to believe. They’re home to some of the region’s most mouthwatering ribs, spiced chicken, and pulled pork as well as tasty sides like slaw, mac-n-cheese, cornbread, and so much more. With everything from packed dinner plates to hearty sandwiches, B’s has something for everyone to enjoy. For more information about this award-winning barbecue restaurant, call (678) 949-9912 or visit them online today. What Makes B's Cracklin' Barbecue Different From Other Barbecue Styles?